"Toxoplasmosis in dogs is a parasitic disease caused by the protozoal specie Toxoplasma gondii, which is primarily transmitted by cats. Animals as well as humans are at risk with a high prevalence of zoonoses, which means diseases which naturally transfer from animals to humans. Toxoplasmosis is transmitted via the feces of cats, with flies and cockroaches etc acting as an intermediate host. Clinically, canine toxoplasmosis is identified as a generalized condition with symptoms such as anorexia, fever, diarrhea, cough, dyspnea (difficulty breathing), jaundice and ultimately death. Being a general condition, toxoplasmosis spreads systematically and affects various physiological systems. The severity of the disease depends upon the number of parasitic species infesting the dog. Diagnosis is based upon a review of clinical symptoms and different biological, histological and serological laboratory tests. Treatment is with antibiotics, while symptomatic and supportive therapies are mandatory. Toxoplasmosis can spread to humans, thus care is needed regarding the handling of the disease and disinfection of the dog's environment. " Toxoplasma gondii is a protozoan confirmed as the cause of canine toxoplasmosis. It is only transmitted by felids (cats). Both wild and domesticated cats can transmit this parasite through the feces. Insects like flies and cockroaches are thought to be an intermediate host. The pathogenesis of toxoplasmosis shows that three different infectious stages can occur, i.e. tachyzoites, bradyzoites and sporozoites. Transmission of these infectious stages is possible if a healthy dog either eats raw meat containing oocysts of toxoplasmosis or if it is transmitted through the transplacental route, i.e. from mother to fetus. After intake by either route, most commonly by intake through contaminated food, meat or water, these protozoa multiply in the stomach and intestine. Once the infectious stage matures i.e. becomes sporozoites or oocysts, they spread through the entire body through the blood and lymphatic circulation. Clinical symptoms usually appear 20 days after ingesting protozoa in the optimum quantity for multiplication. Clinical symptoms are associated with the degree of damage caused to soft tissues, which is directly related to the number of trachyzoites released during multiplication of the number of protozoa. This factor also represents the severity of output toxoplasma can cause in dogs. As the protozoa multiply in numbers and spread to other parts of the body, toxoplasma can only cause a sub clinical infection, i.e. symptoms are not clinically important and the condition remains untraceable. Anorexia, diarrhea, fever, cough, difficulty breathing, eye infection, jaundice, seizures and death are common clinical symptoms which begin to appear systematically. Most visceral (internal organs) physiological systems are affected including the digestive, circulatory, lymphatic, respiratory and nervous systems. Affected systems cause severe generalized or generally prevalent disease. Young puppies may not survive to even the third degree of infection thus sudden death is noted with acute symptoms which are those that come on suddenly. Clinical symptoms can help in indicating canine toxoplasmosis in dogs. But since the disease has a wide spectrum of clinical symptoms, it is very hard to confirm through clinical elimination techniques. Laboratory procedures including biological, histological and serological examinations are preferred for confirming the disease. Serological tests as such as ELISA, Hemagglutination, LATEX Assay etc are confirmatory tools, which can confirm presence of specific antibodies for toxoplasmosis. The severity of the condition can also be assessed through the use of serological (enzyme testing) procedures. In addition, tissues can be examined under the microscope for biological and histological changes; the specific stage of infection is usually determined with these tools. Specifically, some drugs such as Sulfadiazine, Pyrimethamine etc can be used, but are rarely warranted for treatment of canine toxoplasmosis. These drugs are effective, but the pharmacological action and side effects of this mode of treatment is yet to be researched. In most clinics across the USA, Clindamycin is considered to be the treatment of choice for toxoplasmosis. It is used for 14 – 21 days. Supportive therapies such as supplements and natural remedies can help to maintain a dog's body condition while undergoing treatment. The natural remedy EaseSure may be of help. Other symptom specific therapies can be initiated with the recommendation of a veterinarian. As toxoplasmosis is a highly transmissible condition to other animals and humans, extensive care is needed regarding the handling of pets with this condition. Moreover, disinfection and preventive measures are usually required for humans if any of their companion animals have been confirmed for this disease. In a study, 60% of humans had been confirmed with the presence of specific antibodies in their serum, when they came in contact with pets who were acting as a reservoir for Toxoplasma. 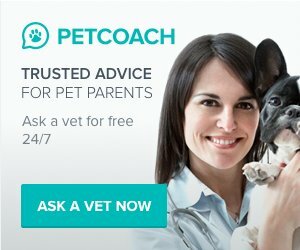 Can You Help other Dog Owners or Have a Dog Health Question? Share your story or ask a question. Our editors or readers will provide an answer.